This summer has brought several stories about the continuing and complex efforts to address the painful impact of Nazi Germany and World War II on the world’s cultural heritage and the global art market. In early June, the U.S. Senate held hearings on a bill that seeks to make it easier for claimants to take legal action to recover artworks looted in the years leading up to and during World War II. The proposal would create a uniform rule in the United States regarding the time-frame for such lawsuits, by providing that a civil claim to recover artworks (or other items of cultural property) that were “unlawfully lost because of persecution during the Nazi era” may be brought within six years of when the claimant actually discovers the identity and location of the work as well as facts sufficient to indicate the claimant has a claim (currently, statutes of limitations vary from state to state and create confusion as to when the “clock” starts running on such claims). The draft bill’s definitions reflect a recognition that the “Nazi era” began in 1933, and that “unlawful” losses include not only outright theft but also actions such as sales under duress and other losses “that would not have occurred absent persecution” during that time. The bill reflects an emerging bi-partisan sense that, while the U.S. is a party to international agreements such as the 1998 Washington Conference Principles on Nazi Confiscated Art and the 2009 Terezin Declaration on Holocaust Era Assets and Related Issues, those resolutions are non-binding. And although courts have increasingly cited them as an important part of the legal backdrop in restitution cases, claimants continue to encounter legal roadblocks on timing issues such as statutes of limitations and laches, which can defeat claims in which decades have passed between the initial wrong and the commencement of a lawsuit. 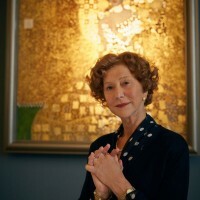 At the hearing, speakers included actress Helen Mirren, who portrayed heiress Maria Altmann in the 2015 film “Woman in Gold,” which called attention to one of the most famous art restitution cases in recent years. Another key speaker was Ronald Lauder, president of the World Jewish Congress and an important art collector in his own right (in fact, he’s the current owner of the Gustav Klimt work that was the subject of “Woman in Gold”). However, with Congress now in recess, the bill appears to have stalled; and it remains to be seen whether these issues will be revisited in the fall. Meanwhile, in courts across the country, disputes over individual works continue to play out. One high-profile case involves claims against the Nahmads, a prominent family of art dealers, who control a Modigliani work that was allegedly taken from Oscar Stettiner, a Jewish art dealer who fled Paris in 1939, leaving his art collection behind to be auctioned without his consent in the early 1940s by a Nazi-appointed “administrator.” Stettiner survived the war but was unsuccessful in recovering the Modigliani; his sole heir, Philippe Maestracci, now claims that it was sold to the Nahmads in a 1996 Christie’s auction in which it was advertised with an inaccurate provenance, and Stettiner’s family did not learn of its whereabouts until it turned up in a Sotheby’s auction catalogue in 2008, consigned by art dealer, Helly Nahmad. The work apparently did not sell in 2008, and Maestracci sued Helly Nahmad’s gallery in federal court in New York in 2011 (S.D.N.Y. Docket No. 11-cv-7710), seeking the work’s return. But that suit was ultimately voluntarily dismissed, apparently for jurisdictional reasons, after it was revealed that the work was not owned by Helly Nahmad’s gallery, but by a different entity, IAC. Stettiner’s estate has tried again, however, filing suit in New York state court (Sup. Ct. N.Y. Co. Docket No. 650646/2014) against IAC, Helly Nahmad Gallery, and Helly and his father David Nahmad individually. After the “Panama Papers” leak this past spring indicated that IAC is controlled by David Nahmad, David admitted he has indeed owned the work since 1996, but he continues to dispute that the work was looted; he cites evidence in post-war documents that he believes indicates the work Stettiner lost was a different Modigliani, and he has criticized Mondex, the recovery firm working on behalf of the Stettiner estate. A motion to dismiss is now pending, and we’ll continue to follow the case as it unfolds. In another ongoing case, the heirs of Austrian cabaret performer Fritz Grunbaum continue their quest to recover two Egon Schiele artworks allegedly taken from Grunbaum after the Nazis imprisoned him in 1938. As outlined in our earlier blog post on this case, the heirs sued the defendant, British art dealer Richard Nagy, after Nagy offered for sale at a 2015 show two works that the heirs believe came from Grunbaum’s collection. (See Sup. Ct. N.Y. Co. Docket No. 161799/2015.) As expected, Nagy has now moved to dismiss the case, arguing that the two works at issue here have the same background as the work at issue in a previous case which was decided against Grunbaum’s heirs (see Bakalar v. Vavra, 500 Fed. App’x 6 (2d Cir. 2012)), and therefore that the earlier case must also govern this new claim. Interestingly, an insurer, ARIS Title Insurance, has sought to intervene in that case, arguing that ARIS had relied on Bakalar when it decided to issue Nagy a policy for one of the work, and that now ARIS has a concrete stake in persuading the court that Bakalar forecloses the Grunbaum heirs’ claims here. We’ll continue to watch for the outcomes of those motions. Meanwhile, the press continues to monitor other developments in the field of Nazi-era art, including recent stories regarding the confusing years after World War II, during which, it has been revealed, some Bavarian officials returned pilfered artworks to the very same Nazi officials who had obtained them during the war. And meanwhile, provenance research continues on the infamous Gurlitt Collection, a trove of hundreds of artworks discovered in Germany and Austria a few years ago in the possession of Cornelius Gurlitt, the son of a Nazi-authorized art dealer; the collection has since been placed under the control of the Kunstmuseum Bern in Switzerland, and a recent report suggests that progress is being made (albeit slowly) to identify looted works. Overall, the recent developments in the arena of Nazi-era art restitution suggest that the legal issues involved in such cases are arguably becoming more complex, not less, as time goes by and we are left with fewer and fewer witnesses who have information about the events of those dark years. Out-of-court settlements of such disputes, when negotiated carefully, can provide a valuable alternative to costly litigation. Meanwhile, courts, legislators, and the public continue to seek a delicate balance between the need for justice, the practical challenges posed by these cases, and the art market’s need for finality when it comes to ownership.